We are updating our website at the moment! Keihäs Guitars makes handcrafted instruments with high quality and dedication. We also provide repair services for guitars and other plucked string instruments. 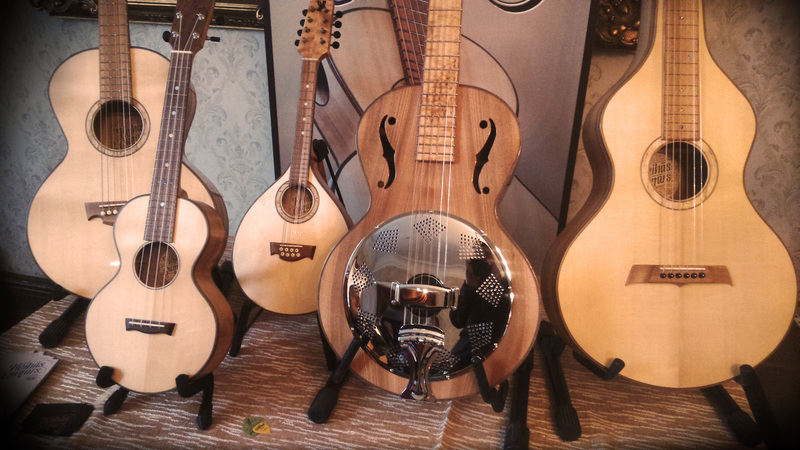 The Keihäs guitar family includes three members: Parlor, Resonator and Lap slide guitar. In all of these guitars, we combine traditional design with modern structural solutions. As a material, we favour sustainably-produced, and for the most part, domestic and European wood. In addition to our own models, we can also make other kinds of guitars to order. If you are looking for a unique guitar with a beautiful look and tone or if your old guitar needs repairing or adjusting, please do not hesitate to contact us. Keihäs Guitars is at your service.